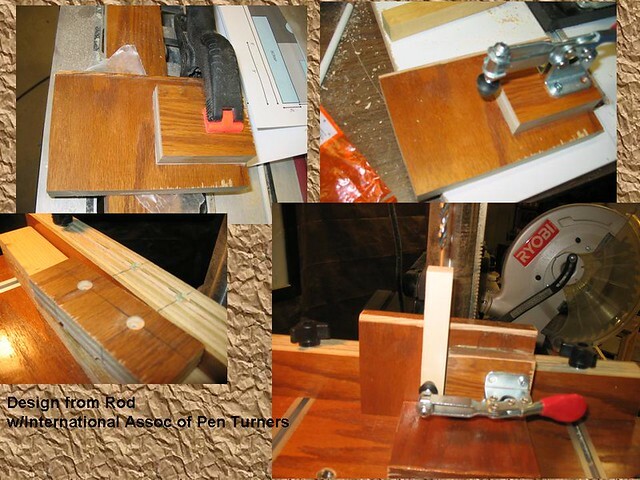 The main change I made was that Rod’s attached to his drill press via a clamp. Since I already had my drill press table and a fence, I decided to use some rare earth magnets to attach the jig in place. I am hoping this will come in handy for future jigs as well. The entire jig is made from scrap pieces from those cabinets again. 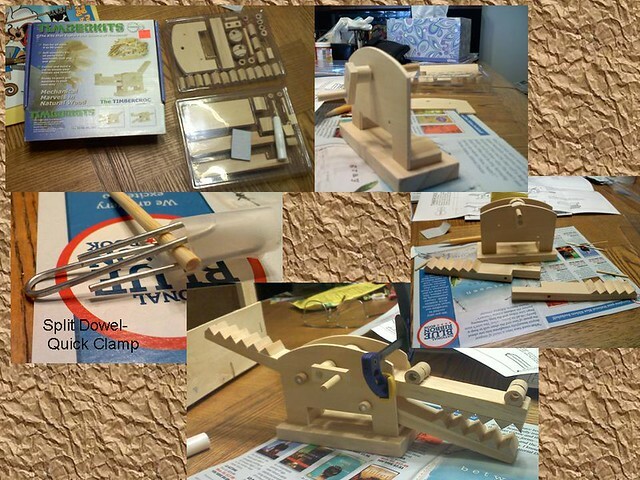 (truly get my worth ouf of those)I picked up the clamp at the WoodWorking Show a couple of weeks ago. 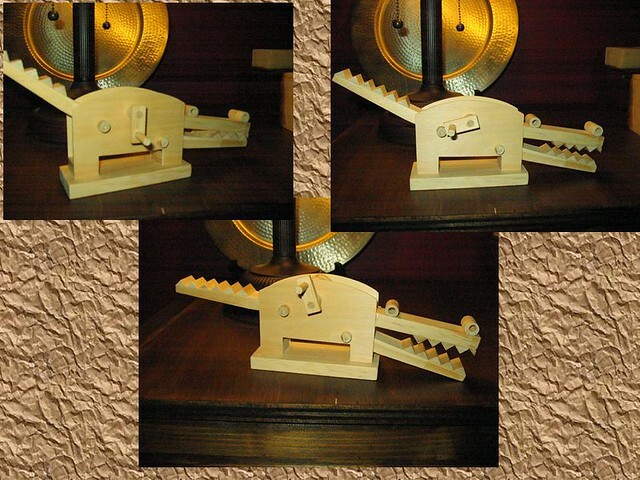 The other thing I did this week was put together an automaton. There was a hobby shop near my in-laws that I took my daughter to, after buying her a new toy I found they had a few TimberKits on sale. I have a few of these sitting in my workshop and have yet to really take the time to work on them. Since this was a small one and I could work on it at the dining room in the evenings I decided to get it. I had a lot of fun with it, and it went together very easy. I will say after working on one with prefab parts I have even more respect for those of you that do these from scratch, not that I am still not looking toward designing one in the future. Looking forward to several nights at home this week and some good shop time, hope you all get the same and have fun.